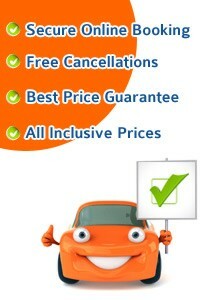 Airport Car Hire Network will source for you cheap car hire at Toulouse Airport. 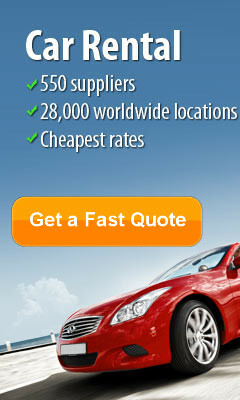 Book in advance to get the best deals from the following rent a car companies in toulouse. By booking with Airport Car Hire Network in advance you get a better rate then booking directly with the car rental companies Hertz, Avis, Budget Dollar, Sixt, Enterprise and Europcar. Toulouse Blagnac Airport is located 6 kms from Toulouse. Having picked up your car hire from Toulouse Blagnac Airport, why not explore Toulouse and use the "Toulouse en liberté" city pass to see some of Toulouse sights. This city pass is valid for one year and gives access to to 300 different activities and sights, monuments and museums, excursions around Toulouse and shopping all for around 10 Euro per Adult. Train service: No Trains available but take the shuttle bus to Toulouse centre to get a connecting train from the train station Gare Matabiau. Bus service: Flybus Airport Shuttle Bus will go to Toulouse centre every 20 minutes. Local buses 25, 30, and 66 all go to Toulouse Airport. Coach available which goes directly to Andorra from Toulouse Blagnac Airport. Explore the Basilique St. Sernin and the Saint-Etienne Cathedral, you will delight in the many antique shops while enjoying a visit also to Rue Croix-Baragnon and Rue des Arts for its boutique's and experience the history of times past at the Purpan Roman Amphitheatre in Toulouse. Hôtel Garonne, 22, descente de la halle aux poissons , toulouse, 31000 Hotel Garonne is located in the centre of Old Toulouse just metres from the Garonne River. It provides 4-star accommodation, a restaurant and 2 terraces. Free internet access is available. Rooms at Hotel Garonne are air-conditioned and equipped with a flat-screen TV, iPod docking station and private bathroom. Garonne’s restaurant serves regional cuisine incorporating local ingredients. Guests can dine in the vaulted-ceiling dining room that features 16th-century brick or on the terrace during nice weather. Garonne Hotel is 300 metres from the Esquirol Metro (line A) and 500 metres from the Carmes Metro (line B). The Toulouse-Matabiau Train Station is a 10-minute drive away. CARPE DIEM TOLOSA, 9 Chemin de Gojousse , Vieille Toulouse, 31320 Villa Carpe Diem Tolosa offers exceptional accommodation at affordable prices in an environment privileged to 8 km from Toulouse. Bed and Breakfast with gourmet breakfast included. The hotel offers a sense of well-being with panoramic view of green hills southeast of Toulouse. Privilège Appart-Hotel Clément Ader, 23 rue Bayard , Toulouse, 31000 Privilege Residence Apart-Hotel Clement Ader in the heart of Toulouse, welcomes you in a modern, warm, clean lines. Whether some weekdays, weekends and more during your stay long ... It is ideal for your business and leisure where modernity is synonymous with luxury and pleasure. Decidedly upscale residence offers 48 apartments ranging from T1 to T3 Duplex. With an outdoor swimming pool heated all year, bar lounge, a breakfast area with terrace, a gym with sauna, jacuzzi and a fully secure parking under video surveillance.